Really such Beautiful designs!! !Great work done..Gorgeous!!! I can't decide which one I like best, but maybe the one with the bow. 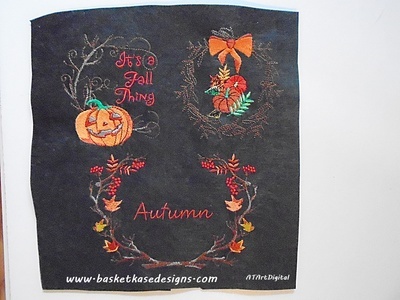 This combination of thread colors really go well together and enhance the autumn feeling!